There are over 3,000 different species of spiders in North America alone and around 40,000 worldwide. Spiders are typically the most feared household pest though few species here in the New England area are harmful to humans. It is not uncommon to call an exterminator to rid your home or the area around your home of spiders. Spiders can hide in almost any area of your home. 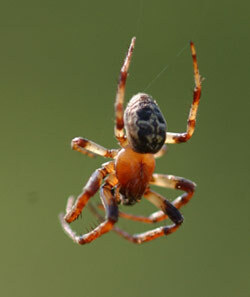 They enjoy spinning their webs in dark corners, and they are equally at home in damp and dry areas alike. You can find spiders in basements, crawl spaces, attics and air vents, but they may just as easily hang out on your bedroom walls, or beneath the furniture in your living room.